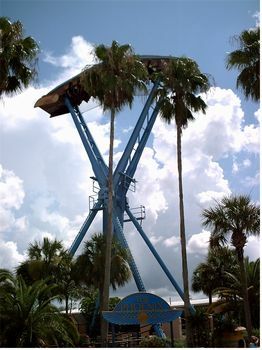 Phoenix is a swing ride in Pantopia at Busch Gardens Tampa. Readers say... skip it. The minimum height to ride is 48 inches. Phoenix is an inverted-swinging ship ride.